I’m not sure where this idea came from, because I absolutely can not fathom it. People everywhere are saying oh, pokepuffs are macarons. Who’s idea was this? 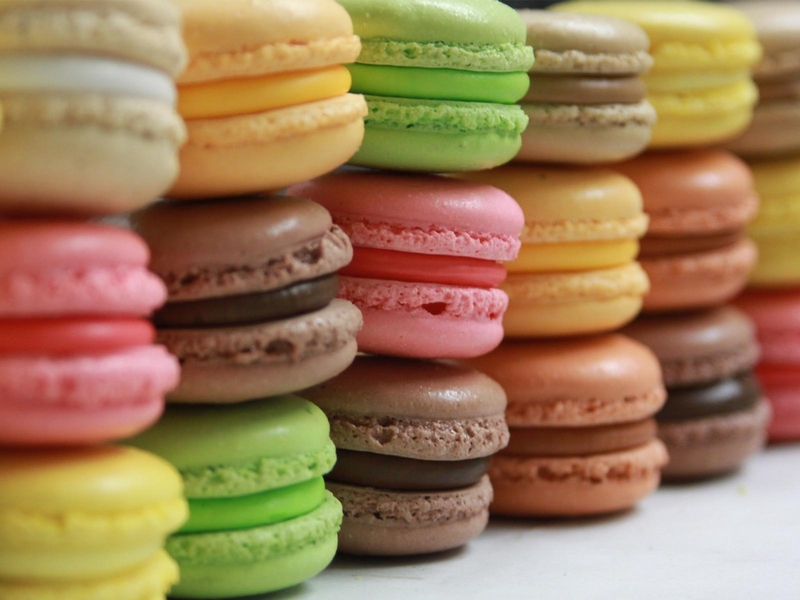 Who thought that they actually looked like macarons? Are you guys SERIOUS? 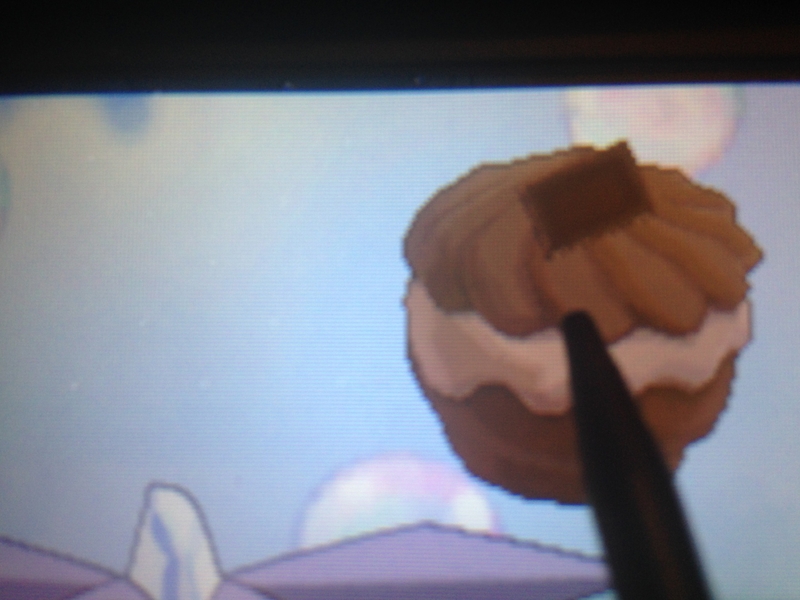 Right away when I look at that macaron, nothing about it says pokepuff. Nothing. Getting into this formal definition doesn’t help in the least, either. The hardest part to get past here is “the feet,” which pokepuffs clearly do not have. 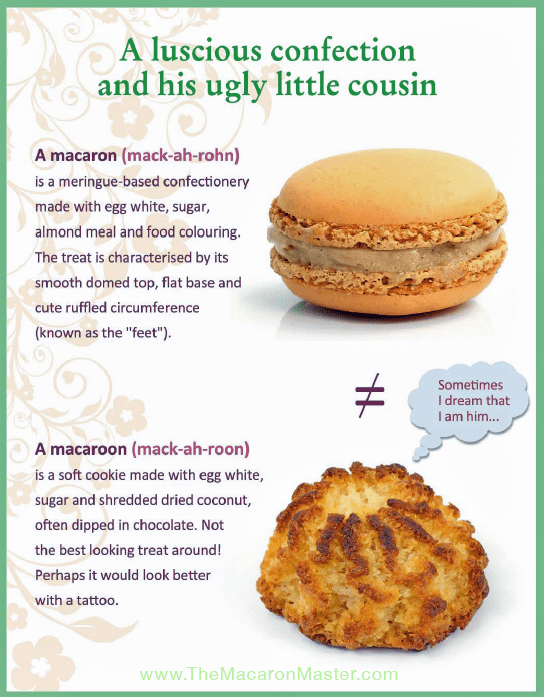 Firstly, we know that a macaron is a sandwich confection: two halves with filling in the middle. This must be the only reason pokepuffs are seen as macarons, because two layers of icing on a cupcake is way to much to fathom. If you look at the pokepuff, I see no way for it to actually be two equally sized cake halves with filling in the middle. It just isn’t. The top obviously has icing on it. Okay, sure, we can put icing on top of a macaron. However, this icing would need to be perfectly frosted as to neatly cover the top “feet.” I tried to find a picture of this, but I could not (maybe because people don’t do this?!). The next is the white layer in the middle, which would be the filling if a pokepuff was a macoron. This filling would need to ooze out perfectly, covering the bottom “feet” of the macoron. However, this would be impossible by proportion standards! 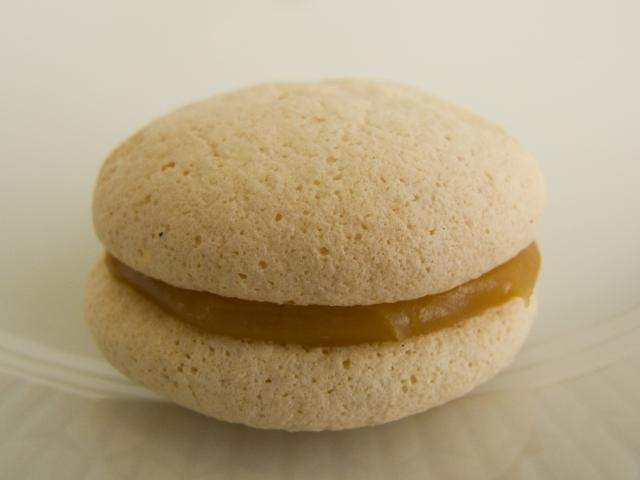 If the bottom feet of the macoron was covered by the filling, there would be only about 1/5 of the actual macaron left showing. In reality, the pokupuff has nearly half of the cake showing on the bottom. Or, easily more than half, if you actually look at the picture for a second and realize that the icing is sitting on top of the pokepuff. There would still not be enough of the bottom half of the cake showing if we had the filling ooze out. You can be the final judge, but I simply can not see a pokepuff being a macaron – ever. They are so clearly cupcakes with two layers of icing (or a circular cake, specially molded on the bottom) that I honestly have no idea why the world is so confused. Of course when it comes to baking from video games, creativity plays a huge part! If you have created a macaron pokepuff that you think holds true, please let me know. Because so far, there is nothing believable. My theory is that they are cream puffs with a bunch of frosting and stuff on top.